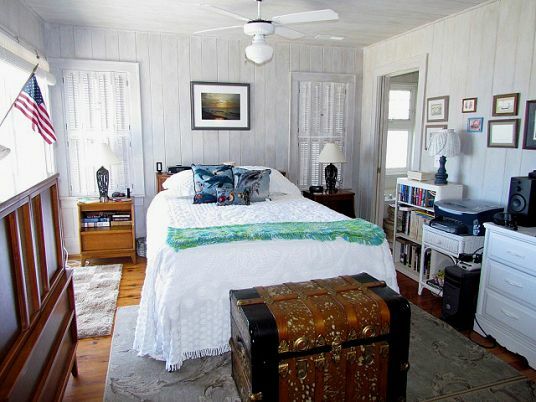 A classic ocean front cottage that has been lovingly cared for and updated by the owners. 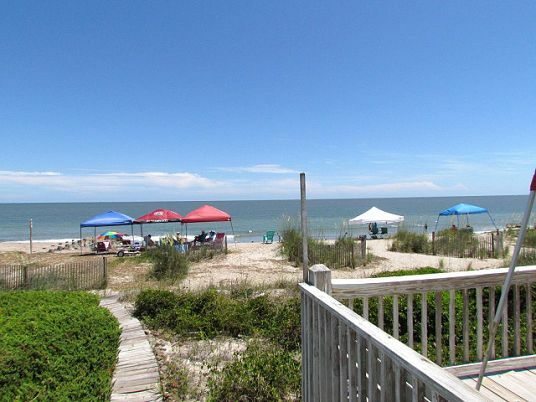 Just steps to the beach on your own boardwalk. 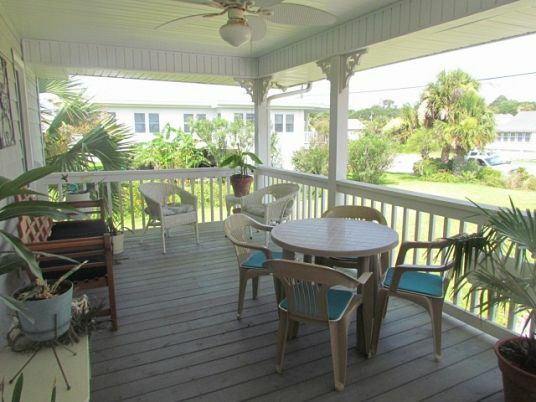 This home enters from a covered porch (Palmetto Blvd side) into an alcove with a eating bar.The dining and living room follow. 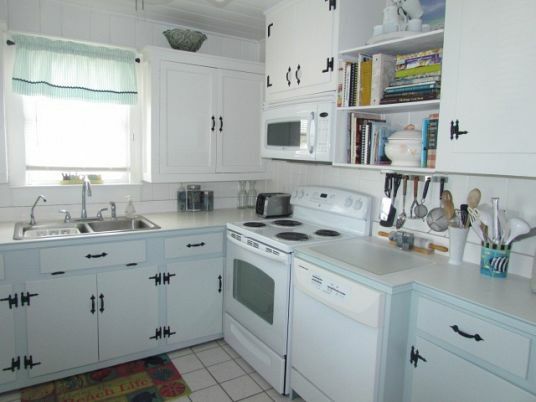 A cute old-fashioned kitchen is to the left. 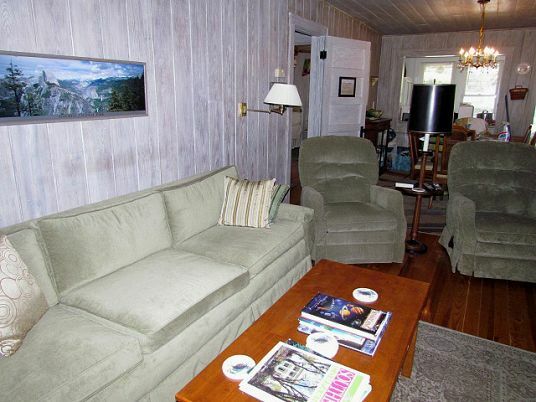 Beyond the living room is a large sun room, complete with seating,extra dining space, and a TV. 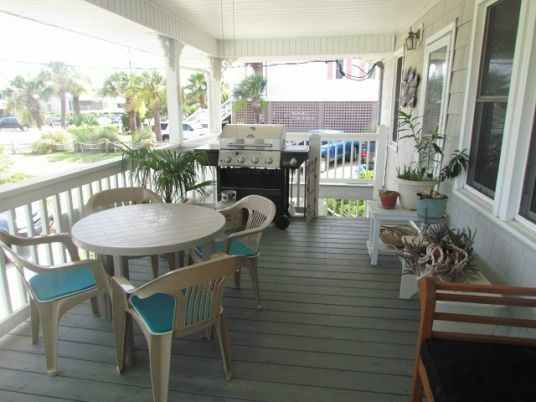 You also have an open deck beach side for soaking up the sun! 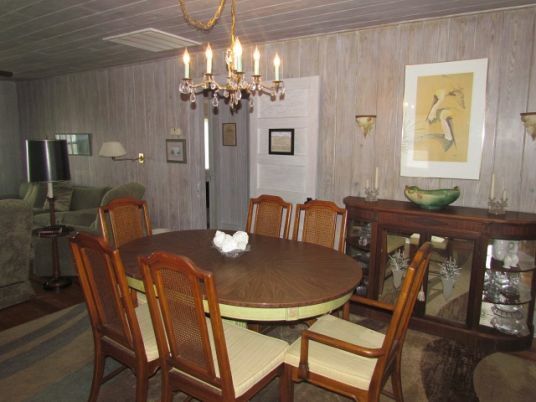 This home has two bedrooms on the left side of the house, both with a double bed. 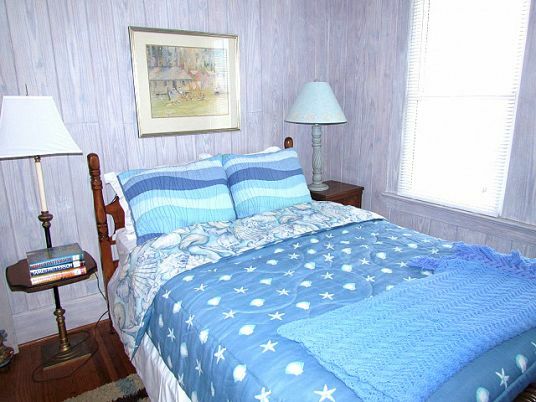 There is a 1/2 bath between these bedrooms. 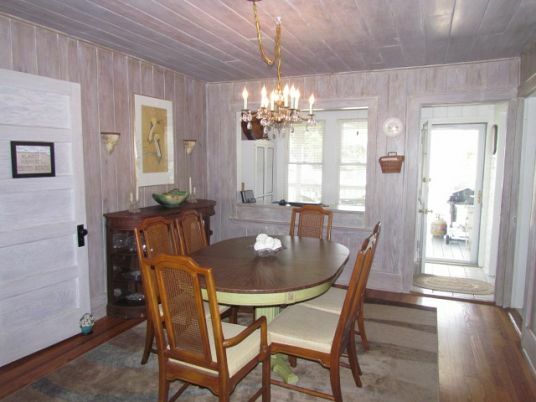 There is a short hallway on the right of the house that has 2 more bedrooms and 2 baths. 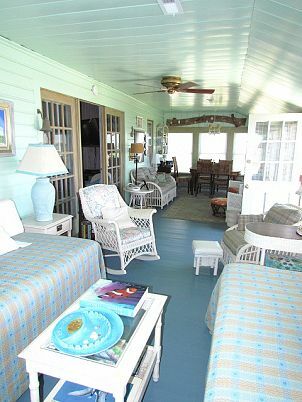 The front bedroom (beach view) is the master bedroom with a queen size bed and computer set up in the room .There is door that opens onto the open deck. 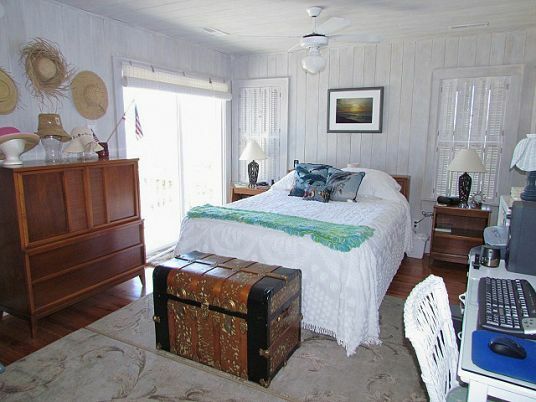 A private bath with Jacuzzi tub connects to the master bedroom. 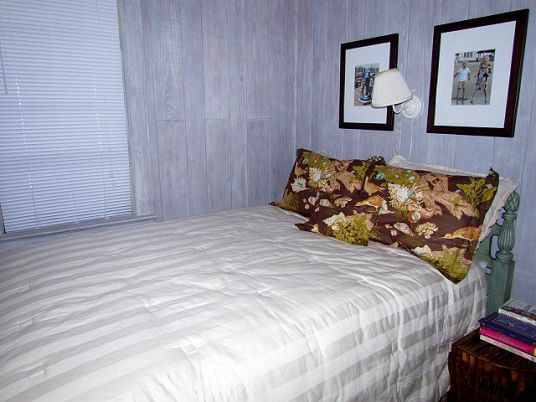 The back right bedroom has 2 twin beds. 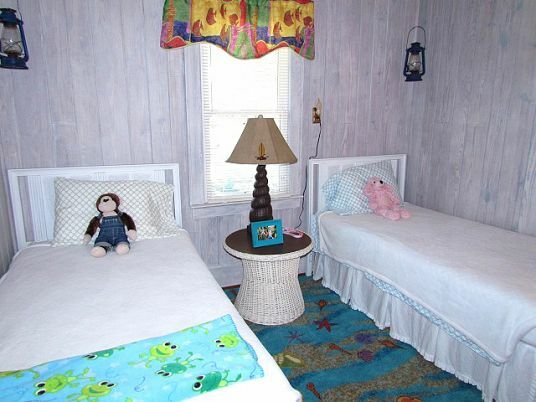 There are no TV's in the bedrooms. 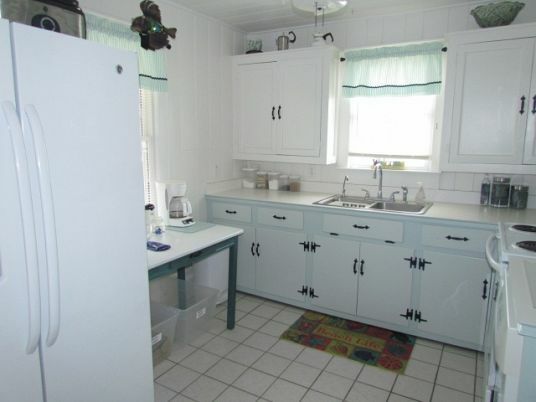 A full hall bath (tub/shower combination) is on this side of the house as well. 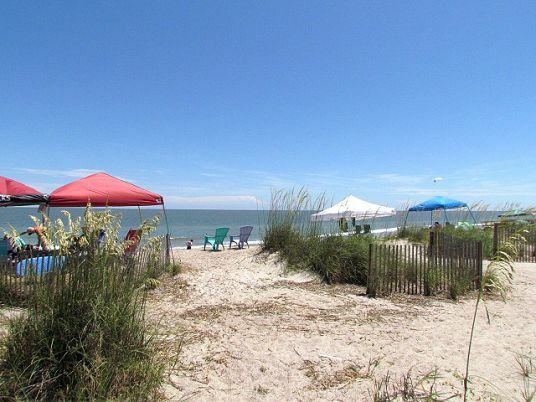 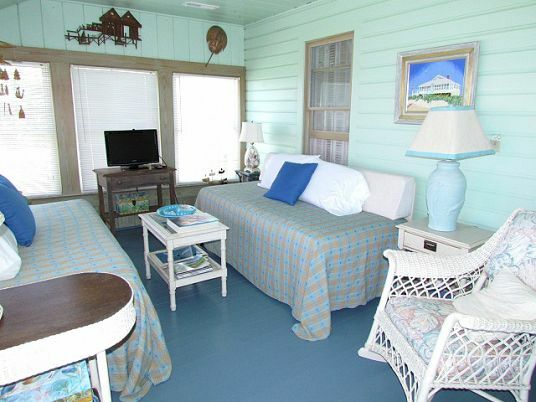 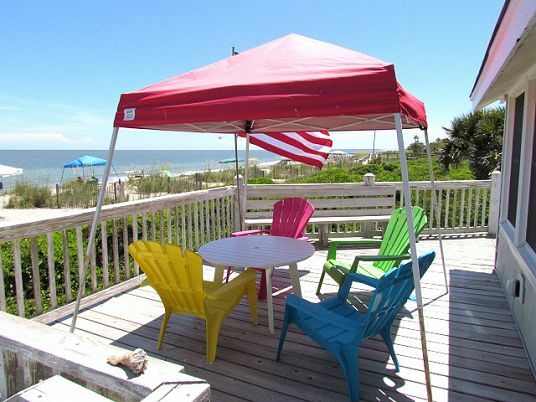 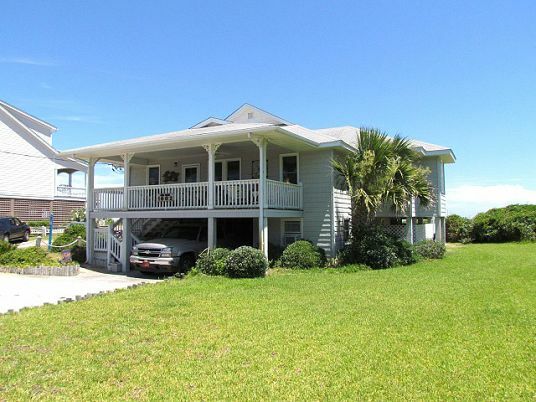 This is a great home to rent for a comfortable vacation on Edisto Beach.